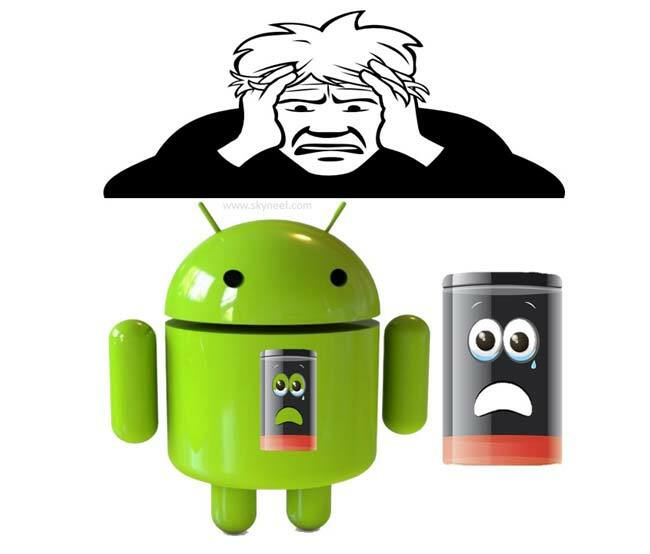 How to save and extend your Android smartphone battery life is one of the most important query raised by the smartphone users. Smartphone batteries don’t last forever and if you see overtime, we have seen many changes in the smartphone technology. In earlier Android smarpthone used either for calling or messaging. Now, as per current situation lot of person depend to the smartphone for doing lot of works. In that case your smartphone battery going to down with in a short period. In this guide we will help you to share some important tips which helps you to save and extend your Android smartphone battery life. Today, different smartphone companies claim to provide bigger batteries due to lot of consumption, but lot of people’s are not happy with battery backup. For such people, let’s explore how could you easily save and increase battery of your smartphone. Nowadays, most of smartphones are getting HD displays and super amoled displays. The color reproduction and pixels per inch (PPI) are very high in such a display, because the more sharper and vivid colors you use, the more your battery ends. You can use black wallpaper which can increase the battery life because AMOLED screens only illuminate the coloured pixels. Black color uses at least PPI and has little effect on your battery. To save the battery life, not to mention mobile data, you can take advantage of ‘Lite’ versions of popular apps. These apps are designed to be simpler and more economical than their full counterparts. Skype, Facebook and Messenger few popular apps have Lite apps which is available in the Play Store. Few apps don’t have lite version like Gmail, Twitter and Instagram, on play store. In that situation you have to easily access them from your browser at your device. Lot of person claim to use lot of phone battery when turn on the GPS location service. There are lot of apps uses location services. In that case, the location service in your smartphone keeps moving in the background due to which phone battery drain. If you want to save and extend your Android smartphone battery life to check the location service. If you don’t need to turn on GPS location service then turn off them at your device. To save and extend your Android smartphone battery life don’t use display auto brightness at your device. Auto brightness is usually way brighter than you really need. It’s better way to manually set the brightness level that is low but comfortable than auto brightness. This is one of the best ways to improve your battery life, because the screen is one of the biggest battery suckers. If you are using the cloud service then you must know that cloud service also uses lot of phone batteries. Android and Apple both smartphone offer free cloud service in his operating system. These service continue save your data online with a span of time. Due to running this feature in background, it takes a lot of battery. To avoid this, either you can schedule the time as per your need or close it completely. To close the service tap on the Settings > Accounts > and un-checking the “Auto sync” feature. Yous smartphone always find out the signals and that process consume lot of phone battery. During the travelling or sleeping time if you don’t need then put your phone either at airplan or power saving mode. When you need to then turn off the airplan and power saving mode. This is one of the best feature which save and extend your Android smartphone battery life. You can easily enable battery saver feature at your smartphone. Multi-tasking in an important feature of your smartphone. But lot of time due to that feature different social and data sync apps are running in the background process. Most of person like to install lot of apps in his smartphone. These apps not only occupied space but also consume phone battery. You can easily stop these background running apps from Settings > Apps > Choose the app and tap on the “Force Stop”.